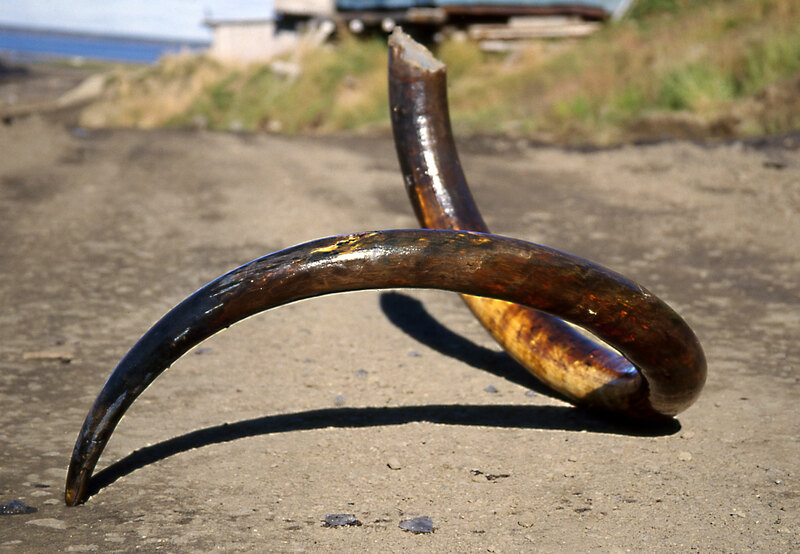 Complete left tusk of an ice-age Woolly Mammoth (Mammuthus primigenius) from the Siberian Arctic on the Taimyr Peninsula. Each individual discovery increases our knowledge about 'the past distribution of these Ice Age giants. © R.-D. Kahlke/ Senckenberg Weimar. Ice Age paleontologist Prof. Dr. Ralf-Dietrich Kahlke of the Senckenberg Research Station for Quaternary Paleontology in Weimar recorded the maximum geographic distribution of the woolly mammoth during the last Ice Age and published the most accurate global map in this regard. The ice-age pachyderms populated a total area of 33,301,000 square kilometers and may thus be called the most successful large mammals of this era. The study, recently published online in the scientific journal “Quaternary International,” determined that the distribution was limited by a number of climate-driven as well as climate-independent factors.